In this episode, Om Nom climbs the beanstalk and finds out that he's not the only one frightened. This is the 8th episode of the NEW SEASON 4 of Om Nom Stories. 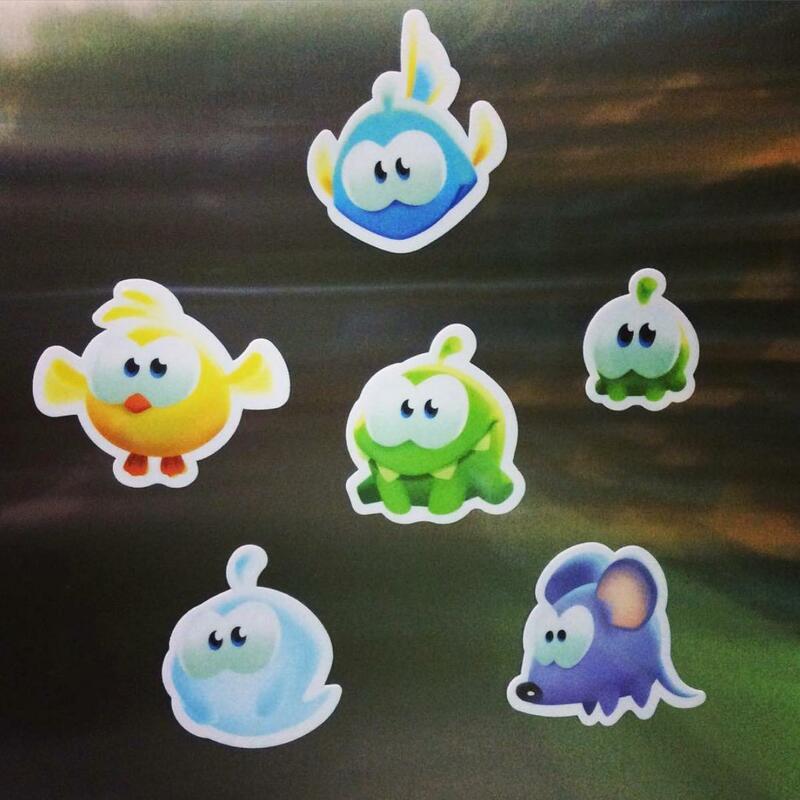 Watch "Episode 36: The Beanstalk" and get a chance to win adorable "Cut the Rope: Magic" magnets (shown above) !!! Starting from this season they no longer ask you to find a "hidden star" like last time, instead you have to watch the last part of the video to know what "hidden object" they want you to find, this time it's "eyeglasses". It's quite easy to find but if you need help, view the Answers page. This is also Puzzle No. 38 in the Puzzles page.